Worldwide 3D Lenticular printing company Lantor, Ltd.
Lantor, Ltd. 3D Lenticular has offered full service of Lenticular printing and promotional products for over 18 years. We have built a solid reputation with promotional products, direct marketing companies, and adverting agents. As your hologram and Lenticular printer, our experience and versatility shine through with a variety of perfectly executed applications, including postcards, rulers, luggage tags, magnets, stickers, and more. We boast an impressive portfolio of Lenticular printing projects filled with well known and prestigious brands, such as NASA, Disney, Universal Studios, Fox Kids Networks, Coors Brewing Company, IBM, Samsung, Virgin Records, and Raytheon. 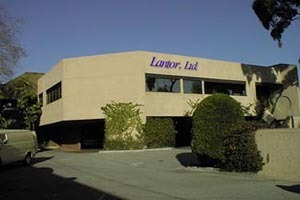 Our competitive pricing and quick turnaround time have made Lantor, Ltd. the first choice for vital Lenticular marketing assignments. Every lenticular printing project is given special treatment from start to finish, from planning stages to artwork, from receipt to final shipment. When dealing with a wide variety of Lenticular effects such as 3D, flip, animation, zoom, and morph, it is absolutely critical that our artwork requirements be strictly followed. Lantor, Ltd.'s artwork design experts will carefully guide you in order to achieve the best possible results from your Lenticular prints.